I'm new to fermenting, and as my second foray into it, I have a bunch of jars of various whole peppers fermenting, including the pictured jar of jalapenos and serrano peppers. 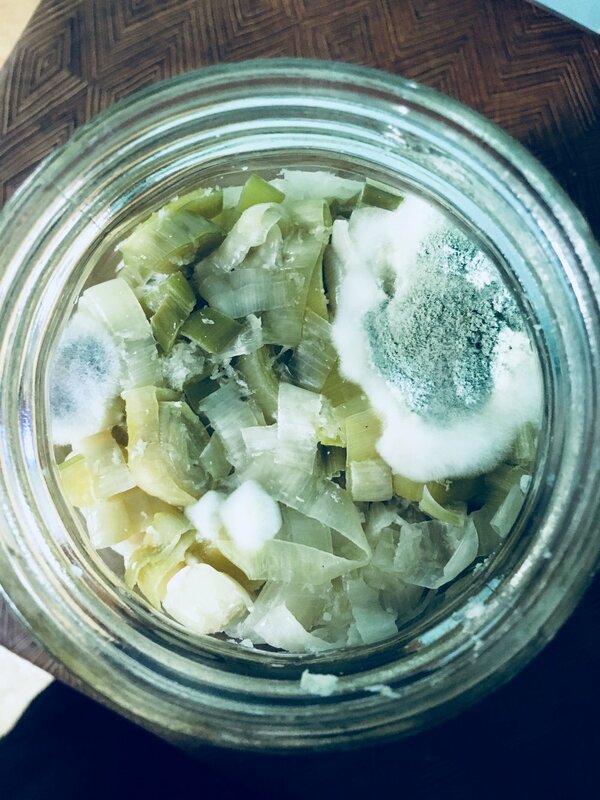 The rest of the jars seem to be doing well, no cloudiness, no mold, etc, but the jalapeno jar's brine is cloudy, and there seems to be a fine, almost powdery looking, pinkish white sediment on the peppers as well as the bottom of the jar. I also skimmed a little mold off the top of the brine at one point - just a few little pinhead-sized floaties. It still smells alright, peppery and pickle-y and salty. Just wondering if this should be composted or if I should continue the ferment? It's been 2.5 weeks since I started it. Oh, and I used Himalayan pink sea salt to create the brine - could this be what the pinkish color is from? Any advice you could offer would be wonderful! I can also try and take more or different photos if needed as well. Welcome to the world of fermentation! Your ferments look fine. 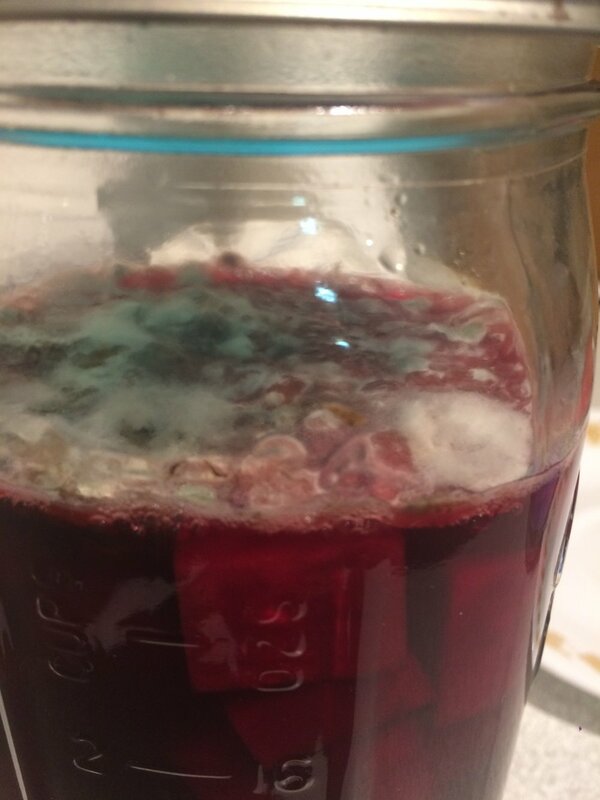 The cloudiness and sediment is a normal part of fermentation. 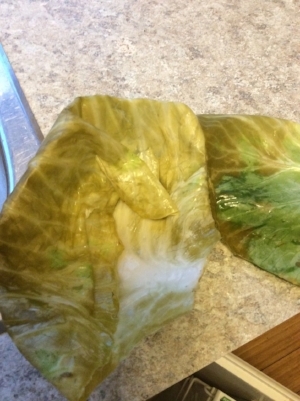 In fact, when I see it along with the color change of the veggie I know things are progressing nicely. You did the right think to skim off the mold and that has nothing to do with the sediment you are seeing. You are probably right that the pink color has to do with the salt. We use Redmond Real salt, which also creates pink sediment. If it smells pickley that is a good sign also. If it was head for the compost it would smell awful. The thing that I wonder about is that some of the peppers are still quite green. Did you add a few more peppers after a couple of days in? I am guessing if not they are just slower. 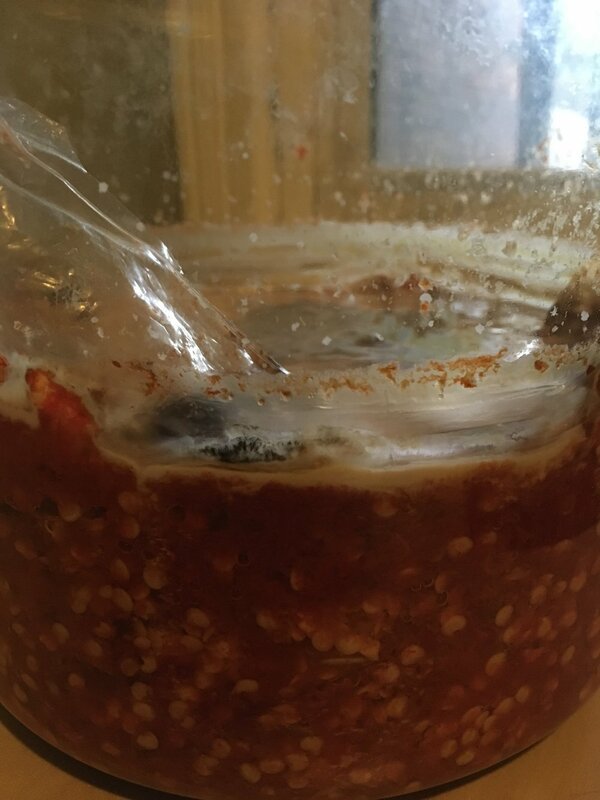 The ferment looks done except for those peppers. When then turn dull green it likely will be. Thank you so much for the information! Glad to hear all is normal with the ferment. All of the peppers were added at the same time, but the Serranos are still bright green as opposed to the jalapenos. 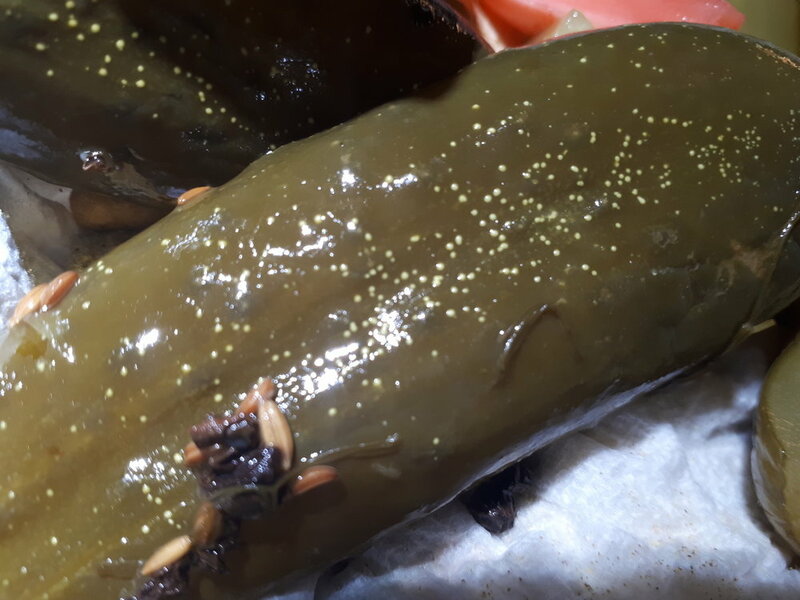 Should I remove the finished jalapenos for tasting, or should I wait until the serranos are also finished? Additionally, the other peppers I have fermenting are yellow, red, or other colors (super hot peppers - peach scorpions, chocolate reapers, etc.). Is there a definite color change that will occur with these as well? They are still quite vibrant. No need to remove any peppers. The Serranos are just taking their time, and I do see that they are changing. I was just curious as it is a little unusual to see some that are so different in the same jar. And no you won’t see any color change in the reds and yellows, the chocolate reapers are brown right, those might change a bit. It has to do with the colors being water or oil soluble pigments. Carrots, red peppers, etc. are oil soluble and will not change or “fall out” into the brine. Water soluble colors (the pink in a radish) may color the brine and the veggie will turn dull. I recently purchased your book and attempted to make the sauerkraut and fermented carrot sticks. I'm a bit concerned about my carrot sticks. They have a thick cloud and white sediment at the bottom, which I read is normal, but they taste a bit vinegary and are softer than I imagined. They are about 6 days in. Do they look okay and how acidic should they taste? Thanks for getting and using our book. It looks like you have a bit of kahm yeast, that is the white stuff on top. It is harmless but likely is the cause of the softer texture. Fermented carrots are not super acidic so it sounds like they taste fine. They look fine from the photos, apart from the yeast. Again this is harmless and it happens sometimes, I would scoop it off as much as you can and then refrigerate. It should go away or at least slow down to a point that it won’t bother you.